"Sherwood" was the house brand of Montgomery Ward's. A few of the "Sherwood" branded instruments were built by Gretsch circa 1930's-50's. 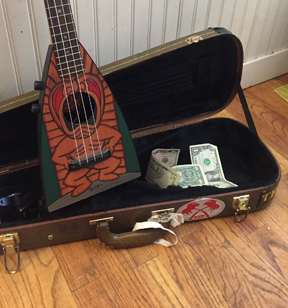 other builders included Harmony and Back to the Tiki King Ukulele Database!